Los Angeles, Calif. – January 8, 2018 – The board of directors of International Transportation Inc. (ITI), the holding company of TraPac, LLC (TraPac), which operates container terminals in the U.S. ports of Los Angeles, Oakland, and also manages a container terminal in Jacksonville announced today that following a successful three decades at TraPac, Frank Pisano has transitioned from his role as president to a new role as senior advisor, effective January 1, 2018. The company also announced the appointment of Stephen Edwards as new president and chief executive officer, effective January 15, 2018. 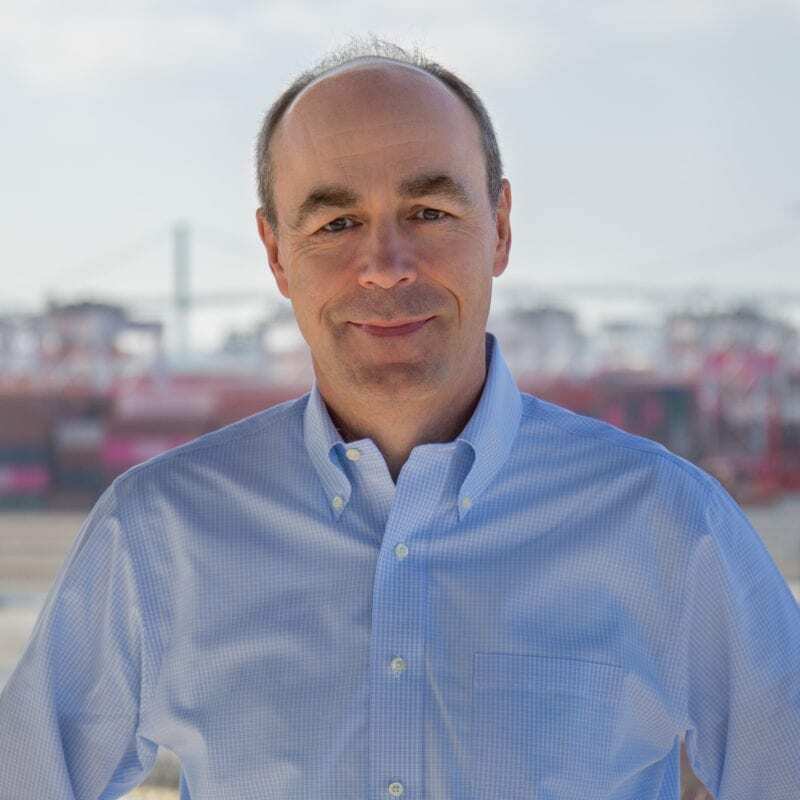 As TraPac’s president and chief executive officer, Stephen will be responsible for the overall performance of the company with focus on safety, service and sustainability, while maximizing returns to investors. Most recently, Stephen Edwards was chief executive officer of Global Container Terminals, which has two container terminals in Vancouver B.C. and two container terminals in New York/New Jersey. Previous industry experience includes president and chief executive officer of Ports America Group; president and chief executive officer of P&O Ports North America, and senior positions with P&O Nedlloyd/P&O Containers. To ensure a smooth transition, former president, Frank Pisano, will serve as a senior advisor to provide general guidance and counsel to the TraPac Board of Directors and the new president. Frank joined TraPac in 1987, became executive vice-president in 2009 and president in June 2015. “The board of directors are very grateful for Frank’s hard work and dedication during the past 30 years and his significant contribution to our success during that time,” said T.K. Konishi. International Transportation Inc. (ITI) is a strategic alliance between Mitsui O.S.K. Lines, Ltd (MOL) and Brookfield Asset Management Inc. ITI is a holding company of TraPac, LLC (TraPac).